Dammam, the most oil-rich region in the world,always encouraged the growth of non-oil industries withits well-planned industrial complexes. The city is now nurturing many startups in the IT field. Blessed with a sea port and the largest airport in the world in terms of land area,the import-export traffic here ishuge, making the Dammam Area very commercial and suitable for IT expats to shift in. With this IT supportive scenario in the back drop, a Scaled Agile Framework Training in Dammamcan keep you on par with the competition. Be Prepared Due to the competitive environment in the IT sector, acquiring cutting edge skills is vitalto accelerateyour career. Procuring a Scaled Agile Framework Certification in Dammam gives you that extra edge. For the amendment of revenue, brand recognition, customer satisfaction, and employee welfare, major Agile project teams use the Scaled Agile Framework (SAFe 4.5) Methodology for managing huge software projects. Manyonline classes as well as e-learning courses are available to equip you with Agile methodologies. But the courseoffered by KnowledgeHut, conducted by a Scaled Agile Framework certified course instructor, makes this certification training more intensive, interactive, and thus, more effective. Scaled Agile Framework Training in Dammamprepares you better than any other leading SAFe 4.5 online course, trainingyou more effectively in tacklingthe SAFe 4.5 Agilist Certification exam. General introductory topics on the Scaled Agile Framework, adopting Lean and Agile values, learning SAFe 4.5 principles, building an Agile Portfolio, and leading the Lean-Agile Enterprise, are some of the topics covered under this course. Thiscourse is offered at the best price. A New Alternative Scaled Agile Framework Training in Dammamfortifies you with skills that can help you implement coordinated releases across a program, evaluate the effect and progress of scaled Agile in a program, and lead your enterprise towards success. It is important that all team membersunderstandall thesubtledetails of Agileduring the modification procedure of an enterprise?s core business processes. Classroom sessions prepare you to understand every minute detail more efficiently than online classes or any other online training that coaches you to achieve the Scaled Agile Framework Certification in Dammam. Keeping Ahead of the Curve	Peoplewith experience in software development, testing, business analysis, product and project management often opt for the Scaled Agile Framework Training in Dammam. This often proves an asset to the curriculum vitae of program managers, executives and leaders, enterprise, system and solution architects, as well as everyone involved with SAFe 4.5 implementation. 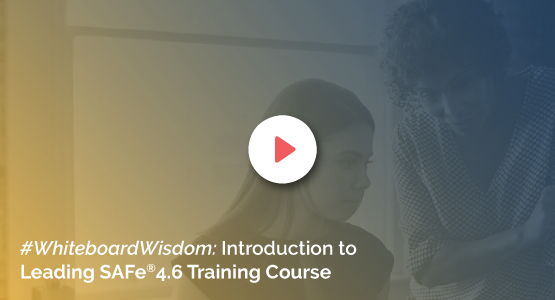 KnowledgeHut Empowers You This instructor-led classroom training by KnowledgeHutempowers you for the SAFe 4.5 Agilist (SA) Certification Exam. KnowledgeHut is a provider of leading SAFe 4.5 certification training in Dammam.